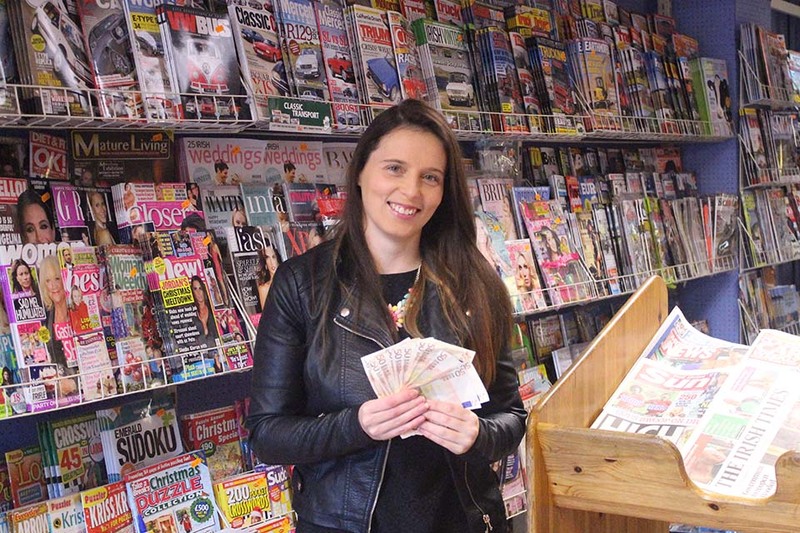 Arklow resident Kellie Harper has landed a timely pre-Christmas windfall by winning the monthly Magazine Madness draw held in Kavanagh’s store on the Wexford Road in Arklow. Store owner Colm Kavanagh introduced the novel idea almost three years ago, to give each customer a ticket every time they purchased a magazine in the store, and on the first day of every month €100 was handed out to the holder of the chosen ticket. If the prize went unclaimed it rolled over, with €100 added each time. With no claims being made on the jackpot over recent months, the total rose to a very appealing €800 – more so with Christmas looming – and after the most recent draw, held on December 1, Kellie Harper found herself in possession of the winning ticket, and much to the delight of all the staff in the Wexford Road located store, she duly claimed her winnings before heading off to spread a little joy elsewhere locally. 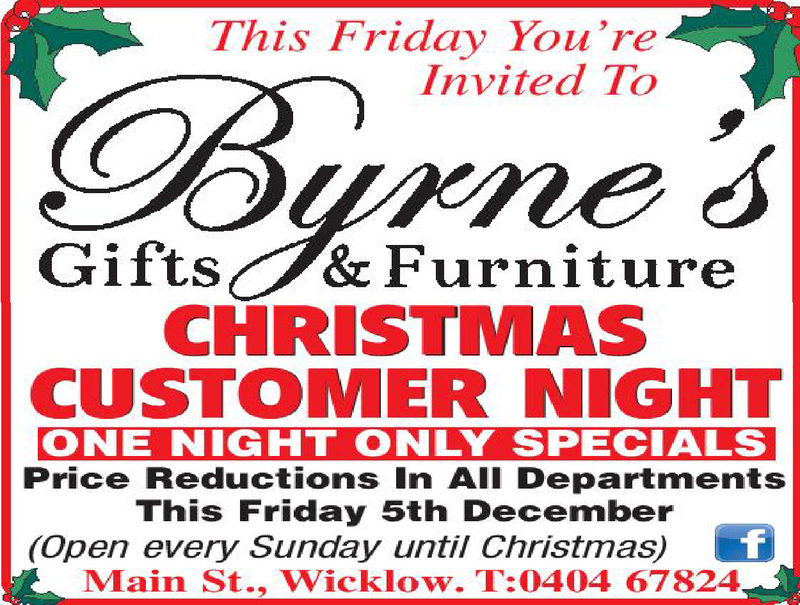 Owner Colm Kavanagh stated he was delighted to see the money going to a genuinely valued customer and added that for every euro spent in a local store in the run up to Christmas the chances are that it will be recycled in the local economy up to three of four times – with the message very firmly being to shop local this Christmas. As the winning recipient of eight hundred euro, Arklow shopper Kellie Harper can firmly testify that “It does indeed pay to shop local!” The previous highest ‘jackpot’ was claimed last January when another local lady, Mary Kehoe, landed a €600 win.